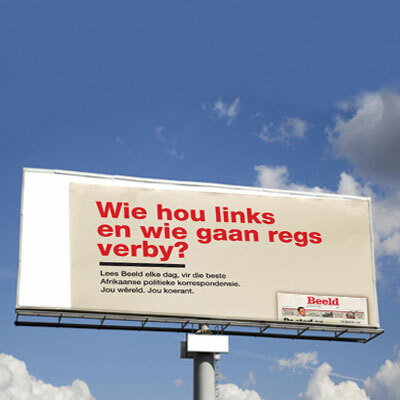 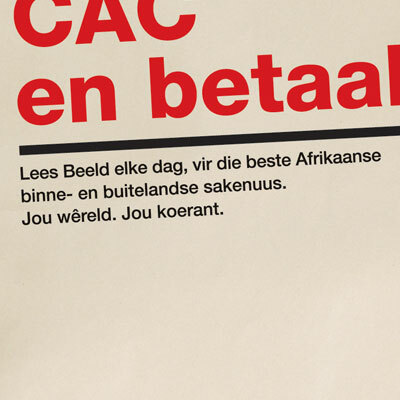 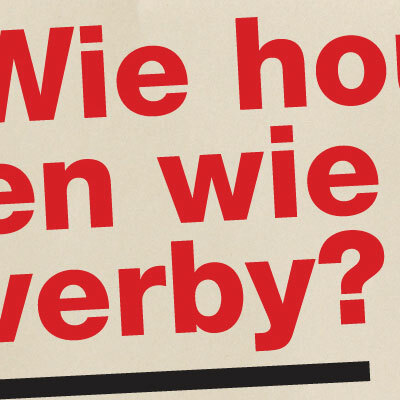 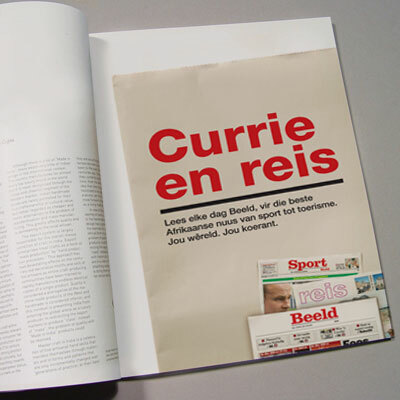 Beeld newspaper briefed us to create a press and outdoor campaign to highlight the fact that they have different themed supplements in the paper everyday. 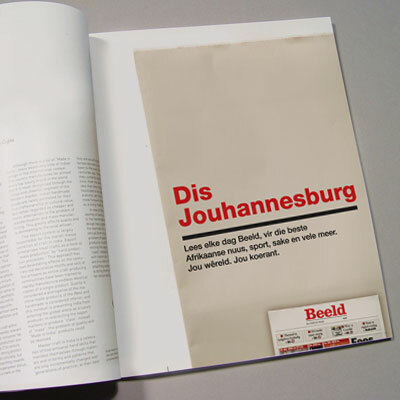 We also needed to create awareness that there is a Joburg specific edition that is printed for the local readers. 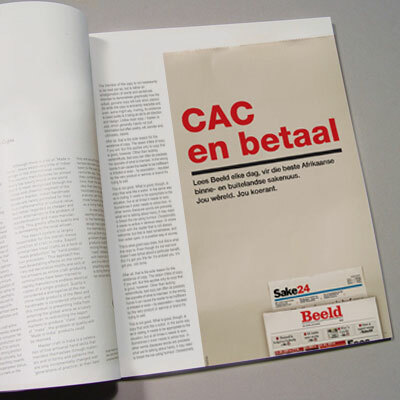 Each execution focused on a different insert.